Nunney First School is committed to providing the best learning opportunities for all children, including those with Special Educational Needs and Disabilities (SEND). We strive to achieve this by creating a nurturing environment where success is celebrated and all children are encouraged and inspired to reach their potential. We welcome all children, regardless of special educational need or disability. As a member of the Frome Learning Partnership we work with other local schools to offer a broadly similar range of provision. Below and organised under ten headings, is Nunney First School’s ‘School Offer’ for pupils who have special educational needs and/or disabilities. This is called the ‘School Report’ and is designed to help parents and carers understand how the school identifies children with Special Educational Needs (SEN) and disabilities and the provision that is made for them. Our School Report is reviewed and updated in October each year, following consultation with parent/carers and pupils. WHO IS RESPONSIBLE FOR SUPPORTING CHILDREN WITH SEN OR A DISABILITY AT NUNNEY FIRST SCHOOL? All staff at Nunney First School are committed to providing the best learning opportunities for all children. We are an inclusive school, working with parents/carers and a range of professionals to ensure the best education for all. Speak to your child’s class teacher. If you are still concerned you can make an appointment to meet with the Special Educational Needs Coordinator also known as the SENCO. Alison Heal is our SENCO. She works with class teachers to ensure that children’s needs are quickly identified and that the right provision is in place to help every pupil make good progress. Appointments can be made by speaking to your child’s teacher or the Headteacher, Sue Heal. HOW DO STAFF AT NUNNEY FIRST SCHOOL KNOW IF MY CHILD HAS SEN OR A DISABILITY AND NEEDS EXTRA HELP? If parents/carers have concerns they should see the class teacher in the first instance. Teachers are available at the beginning and end of the day for brief discussions or an appointment can be made if a more detailed discussion is needed. The progress and wellbeing of all children at Nunney First School is monitored closely by their class teachers. If the class teacher has concerns about the progress or attainment of a child they will discuss this with the child’s parents/carers as well as the SENCO. A programme of additional support may be provided as part of a small group or individually. Specific assessments will be carried out to provide more detail about the difficulties. Should a child continue to make poor progress despite additional support, with the consent of parents/carers, they will be referred to external specialists. HOW WILL NUNNEY FIRST SCHOOL SUPPORT MY CHILD IF THEY HAVE SEN OR A DISABILITY? Additional support in school is known as provision. Your child’s education will be planned and monitored by their class teacher. Your child may work with class teachers, teaching assistants or external specialists who will deliver specific programmes to help your child to make good progress. Staff may also modify the approaches they use with your child or use additional resources in the classroom to support your child’s learning. This will be explained to parents/carers by class teachers. Further support and clarification can be requested from the SENCO. HOW WILL I BE INVOLVED IN MY CHILD’S PROGRESS AT SCHOOL IF THEY HAVE SEN OR A DISABILITY? There are parent/carer consultation evenings twice each year and an Annual Written Report is written for each child in the summer term. In addition to this, children in receipt of High Needs Funding or who have an Education, Health and Care Plan (EHCP) will have a SEN Review or Annual Review meeting to review their progress, the support in place for them and to plan their next steps. Additional meetings are also held for parents/carers whose children are on the school’s SEN List. These meetings are offered twice each year; parents/carers identify the staff they would like to attend and set the agenda for the meeting. 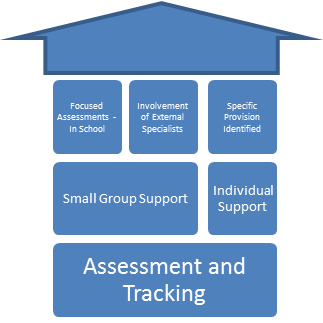 HOW WILL MY CHILD BE INVOLVED IN MONITORING THEIR PROGRESS IF THEY HAVE SEN OR A DISABILITY? The school actively seeks children’s views and feedback. We find children to be honest and insightful. Their contributions have helped us shape and improve practice. The SENCO regularly meets and talks with children who have SEN or disabilities. She uses a range of strategies to enable pupils to share their views and offer suggestions for improving the support that is in place for them. 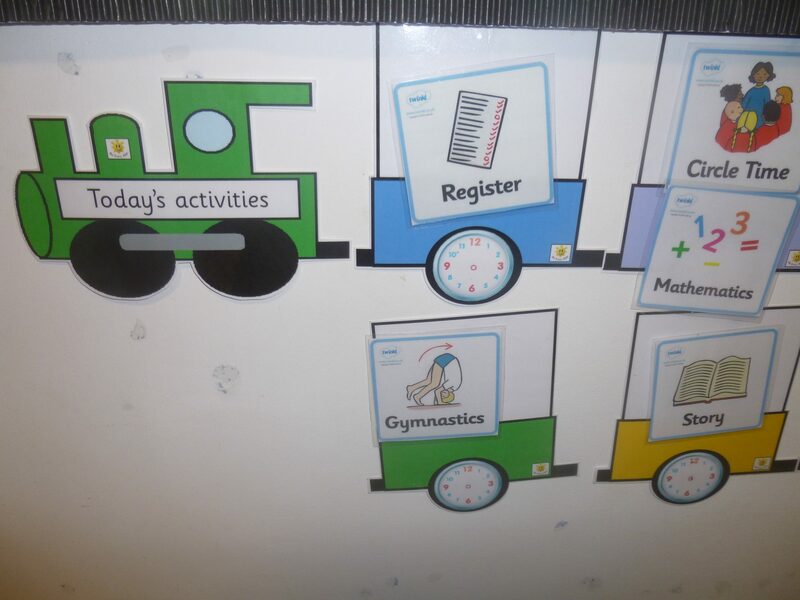 At Nunney First School teachers work with children to set individual targets. These are personal to each child and focus on the next small step/s a child needs to take to make progress. Teachers make time to review targets with children and offer feedback on these in the context of learning the children undertake in school. Children with SEN or disabilities will be asked for views on their progress as well as things that are working well for them and things that could be improved. Views will be gathered when Personal Learning Plans (PLPs) are reviewed, for Annual/SEN Review meetings and in preparation for the additional consultation meetings held for parents/carers of children with SEN and disabilities (see section 4). Sometimes children’s views are recorded for them and if they can, they write the feedback themselves. External staff such as speech and language therapists who work on specific programmes with children, meet with them from time to time to review targets on their PLPs and celebrate success. Through group discussion with the SENCO, the views of children with SEN and disabilities are gathered at least once a year. To do this, the SENCO meets with a representative group of pupils and leads a discussion centred on key questions. Children are generally very honest; their views have been perceptive and we have found them helpful in shaping change and improving practice. WHAT SUPPORT WILL THERE BE FOR MY CHILD’S NEEDS AND OVERALL WELLBEING? In addition to support received for academic subjects, there is a range of pastoral support available. The school has access to a named Parent and Family Support Advisor (PFSA) who can work with children and families and with the consent of parents and carers, we can also make a request for support from a Family Support Practitioner. Specific plans and support will put into place for children experiencing difficulties with behaviour and those needing medical support or intimate care. HOW ACCESSIBLE IS NUNNEY FIRST SCHOOL FOR CHILDREN WITH SEN OR DISABILITIES? The school site is fully accessible. There are changing and accessible toilet facilities. All children have the right to access off site educational visits where it is safe for them to do so. For those with additional needs, alternative provision can be made for example, additional adult support, alternative transport arrangements or alternative arrangements for the administration of medicines. Additional equipment and communication aids are used where they support access for particular pupils. WHAT ADDITIONAL ARRANGEMENTS DOES NUNNEY FIRST SCHOOL MAKE TO PREPARE MY CHILD WITH SEN OR A DISABILITY FOR TRANSFER? Prior to starting in Reception children identified as having special educational needs will have a ‘School Entry Plan’ meeting. This will be attended by you, pre-school staff, school staff, the Early Years Area SENCO and any external professionals who are supporting your child. The aim is to plan how everyone concerned can make the transition to school as smooth and easy as possible for your child. For children with medical needs, this will include identifying staff training requirements to ensure that your child’s needs are fully met and any potential challenges are identified and solved. All families will be invited to participate in several visits to the school prior to starting. Visits are designed to ensure that parents/carers and children know the staff and are familiar with the school setting ahead of starting school. On moving to middle school, children in Year 4 with additional needs are discussed with the SENCO at the school your child is transferring to. A ‘School Entry Plan’ meeting will be held and again, this will be attended by you, your child’s Year 4 teacher, our SENCO and the SENCO in your child’s new school. At the meeting a School Entry Plan will be produced, stating the support your child requires and the actions people will take to ensure that your child’s transition to the next phase of their schooling is a positive experience for them. Additional visits can be organised in school time and are supported by school staff. Resources such as transfer books and photographs can be made to ensure your child is familiar with the people and places they will come across. WHAT EXTRA HELP CAN I ACCESS IF MY CHILD HAS SEN OR A DISABILITY? Somerset County Council’s ‘Local Offer’ which provides information for parents/carers of children and young people with SEN and disabilities in a single place. The website and its links provide information on education, health and social care services. Information about the Special Educational Needs Disagreement Resolution and Tribunal arrangements. WHAT DO I DO IF I FEEL I NEED TO MAKE A COMPLAINT? Please remember that we are here to help. If something isn’t working for you or your child, please speak to your child’s teacher, Alison Heal (SENCO) or Sue Heal (Headteacher). We very much hope that any concerns you have will be easily resolved by speaking to your child’s teacher, and that the termly meetings we hold will also give you an opportunity to raise anything that you are not happy about. If you want to make a complaint PLEASE make an appointment to meet the SENCO to discuss the issue in the first instance. If this does not resolve your concern, please speak to the Headteacher. If your complaint is still not resolved you can use our Complaints Policy and Procedure which will enable your complaint to be formally investigated. You can access the Complaints Policy & Procure by clicking on this link.